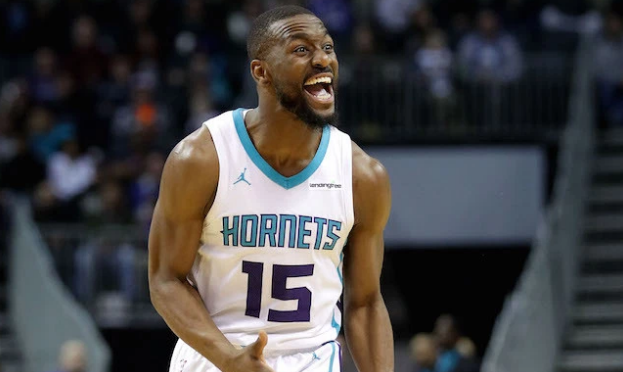 CHARLOTTE — If there was any doubt that Kemba Walker deserves a max contract from the Charlotte Hornets, he eliminated any traces Saturday night. More importantly, if the Charlotte Hornets are hoping to be a playoff contender within the next five years then Walker needs to be on the roster. Walker exploded for an NBA-season high 60 points against the Philadelphia 76ers, shooting an ultra efficient 61.7 percent from the field including a 6-of-14 night from three-point range. The only blemish on the night: a team high nine turnovers. Walker’s impending free agency is not only a topic around the Charlotte but in NBA circles as well. With Kyrie Irving declaring that he’s most likely staying in Boston, Klay Thompson doing the same with Golden State, and everything going swimmingly in Toronto for Kawhi Leonard, Walker might end up behind Kevin Durant as the second best free agent that will actually be available next season. This provides an interesting conundrum for the Hornets should they continue to hover around .500 for the rest of the season. Do the Hornets trade Walker, the most decorated Charlotte Hornet ever? Or do they go all-in with Walker, and even if they fail to reach the playoffs still offer the five-year max and dare him to say no to financial security? After Saturday night, Walker made the latter the only option. 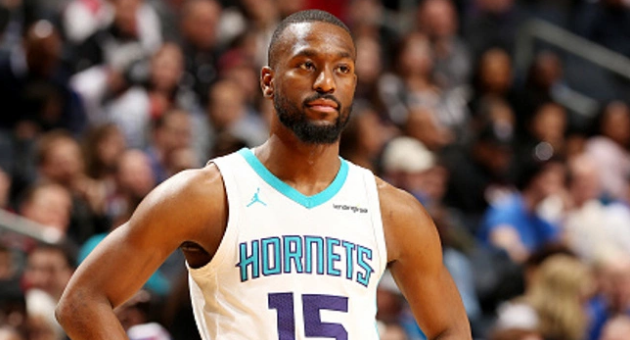 Trading Kemba would set back NBA basketball in Charlotte, as trading or allowing players to leave in free agency has been a tradition for the Hornets. Larry Johnson, Alonzo Mourning, Glen Rice, Baron Davis, Kendall Gill all left in free agency before their prime. Adding Walker to this list would cripple the franchise in more ways than one. Walker’s departure would short circuit the fragile trust this city has with the team, as the team has finished with the same amount of wins two years straight. Giving Charlotte it’s first ever-present NBA star would be a great way to build faith back into the team while at the same time giving the fans hope that change is in fact on the way. The biggest reason to keep Kemba in Charlotte is that this man wants to build something here. Walker grew from the darkest days in Charlotte NBA history, winning only seven games in his rookie season on the then-Bobcats to being the greatest player to ever don a uniform here. The Hornets not only owe it to themselves to lock this man up longterm, but to build something around him to turn it all around. What better message to send to younger players like Miles Bridges and Malik Monk that if you do in fact grind and make yourself into one of the most efficient players in the game, that you will in fact get paid handsomely. Walker has proven every single narrative about grit, determination and hard work, and embodies it in a way that is infectious. Another reason to keep Walker is that the future if you let him go is much bleaker. Tanking in the NBA yields mixed results. While the Sixers are the obvious success story, there are cautionary tales like the Suns, who have bombed on a number of top 10 picks in recent years. Beyond the fickle nature of putting all your chips on draft picks, the Hornets don’t have enough built-in goodwill with the fans to get them to turn out through another long stretch of lean years. The exception to that rule would be in somehow landing Duke sensation Zion Williamson in this year’s draft, because he’s the type of talent and player that is worth the price of admission even if the team’s results aren’t stellar. However, the chances of landing Zion are slim considering the Knicks, Cavs, Hawks, Bulls and Suns already have a significant head start on the Hornets in the race to the bottom, and Charlotte is still far too talented to catch anyone of those teams. This is before factoring in that the NBA lottery is flattened out for the four worst teams in the NBA, limiting the possibilities of grabbing a superstar higher than Walker’s caliber. The Hornets should let this season play out and let Walker decide if he wants to stay in the Queen City with a handsome max contract. He’s earned the right to make that decision to stay, but beyond that, if this campaign has proven anything, it’s that the only way out of mediocrity for the Hornets is with Walker instead of without.